Director of the FCID senior DIG Ravindra Vidyalankara has refuted an article in a weekend newspaper attributed to him and accused ex-defence secretary Gotabhaya Rajapaksa and his loyalists of having fabricated a falsehood. He has told Lanka News Web that he was well aware of the protocol to follow when visiting a foreign country to investigate crime. Vidyalankara has said that they had gone to the US for an internal fact finding mission after informing the State Department in advance through the diplomatic mission. 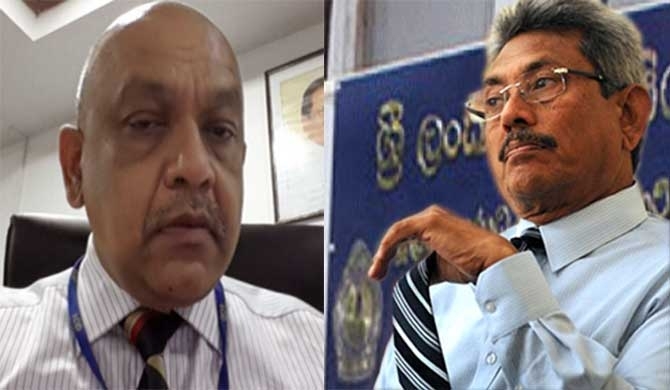 He said the FCID had gone there not to question a person by the name Malraj de Silva, or that FBI lawyers acting on behalf of a Malraj de Silva did not try to arrest them. The senior DIG said the FBI or the Sri Lankan consul general Swarna Perera could be contacted to verify the truth of what he said. Those who swindled Sri Lankan public’s money know they would face a dangerous situation and want to sabotage the investigations. The media loyal to Gotabhaya Rajapaksa is exaggerating such attempts, he said, adding the result of their investigation would be known soon. All the investigations were conducted with FBI collaboration and even a farewell dinner was hosted for the FCID officials by the FCID, he has added.